Lipsyte, Robert. Idols of the Game. A Sporting History of the American Century. Atlanta. Turner Publishing. 1995. 368 pps. Octavo. Hardcover. First edition. Illustrated. Fine copy in fine dust jacket (in mylar). Little, John (ed). Ultimate Guide to Paintball. Lincolnwood. Contemporary. 2001. 4to. Soft cover. First edition. Illustrated. Fine copy. Long, John. Advanced Rock Climbing. Conifer. Chockstone. 1997. Octavo. Soft cover. First edition. Illustrated. Fine copy. Long, John. Climbing Anchors. A Falcon Guide. Helena. Falcon. 1993. Octavo. Soft cover. Reprint. Illustrated. Fine (owner name on end paper) copy. Long, John. How to Rock Climb Big Walls. Photo available. Evergreen. Chockstone Press. 1994. Octavo. Soft cover. First edition. Illustrated. Fine copy (ink mark inside front cover). Long, John. How to Rock Climb. Evergreen. Chockstone. 1993. Octavo. Soft cover. Second edition. Illustrated. Near fine copy (very light shelf wear). Long, John. Sport Climbing. A Falcon Guide. Helena. Falcon. 1997. Octavo. Soft cover. Third edition. Illustrated. Fine copy. 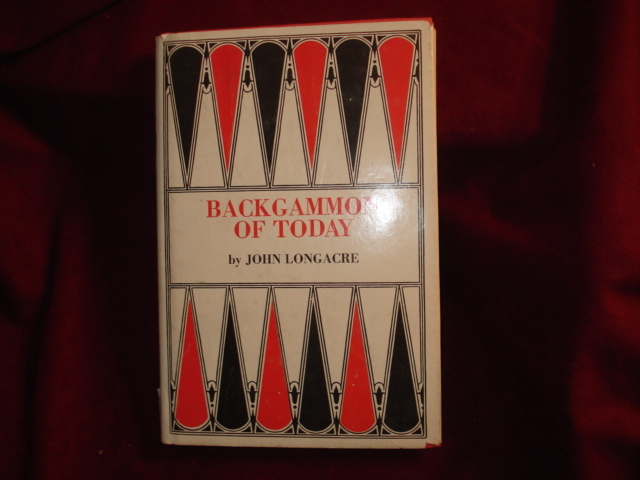 Longacre, John. Backgammon of Today. Photo available. New York. Bell. 1980. Octavo. Hard cover. Reprint. Illustrated. Fine copy in fine dust jacket (in mylar). Longrigg, Roger. The History of Foxhunting. Photo available. New York. Clarkson N. Potter. 1975. 4to. Hard cover. First edition. Illustrated in black, white and color. Fine copy in fine dust jacket (in mylar). Loughman, Michael. Learning to Rock Climb. San Francisco. Sierra Club. 1981. 141 pps. 4to. Soft cover. Reprint. Illustrated. Fine copy. Ludlum, Stuart D. (ed). Great Shooting Stories. Photo available. Garden City. Doubleday. 1947. Octavo. Hard cover. First edition. Illustrated by Ted Placek. Near fine copy (lacks front end papers). Lundy, Derek. Godforsaken Sea. Racing the World's Most Dangerous Waters. Chapel Hill. Algonquin Books. 1999. 272 pps. Octavo. Hardcover. First edition. Fine copy in fine dust jacket (in mylar). Lusch, Ed. Comprehensive Guide to Western Gamefish. np. np. 1985. 126 pps. 4to. Soft cover. First edition. Illustrated. Fine copy. Lusch, Ed. Comprehensive Guide to Western Gamefish. Photo available. np. Self published. 1985. 125 pps. 4to. Soft cover. First edition. Illustrated in black, white and color. Important reference work. Fine copy. Lyle, Sandy. Learning Golf: The Lyle Way. The Sure and Simple Way to Play the Game. New York. Harper & Row. 1986. Octavo. Hard cover. First edition. Illustrated. Fine copy in fine dust jacket (in mylar). Lyon, John. John Lyons' The Making of a Perfect Horse. 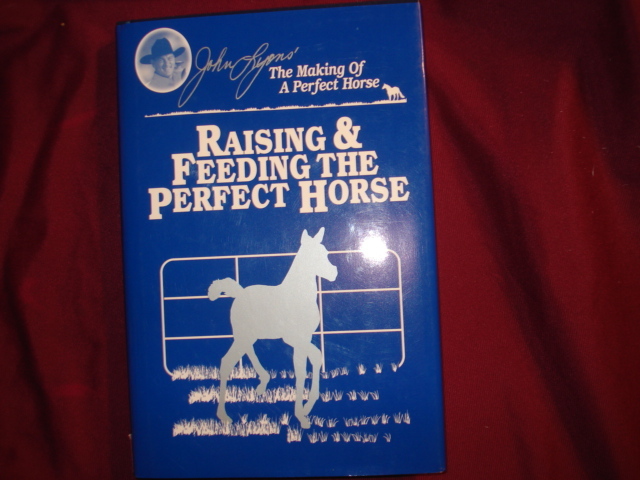 Raising and Feeding the Perfect Horse. Photo available. Greenwich. Belcour. 1999. Octavo. Hard cover. First edition. Illustrated. Fine copy in fine dust jacket (in mylar). Lyons, John. Private Lessons. The Making of the Perfect Horse. John Lyons Answers Your Questions on Care and Feeding. Greenwich. Belvoir. 2000. Octavo. Hard cover. First edition. Illustrated. Fine copy in fine dust jacket (in mylar). Lyons, Paul (ed). The Greatest Gambling Stories Ever Told. Thirty-One Unforgettable Tales of Risk and Reward. Guilford. Lyons Press. 2002. Octavo. Hard cover. First edition. Fine copy in fine dust jacket (in mylar). MacDonald, Charles Blair & Herbert Warren Wind. Scotland's Gift - Golf. Reminiscences, 1872 - 1927. Photo available. Stamford. The Classics of Golf. 2003. 344 pps. Octavo. Gilt decorated hard cover. First edition thus. Illustrated in black, white and color. Important reference work. Folding map. Fine copy in glassine wrapper. MacFarlen, Allan. 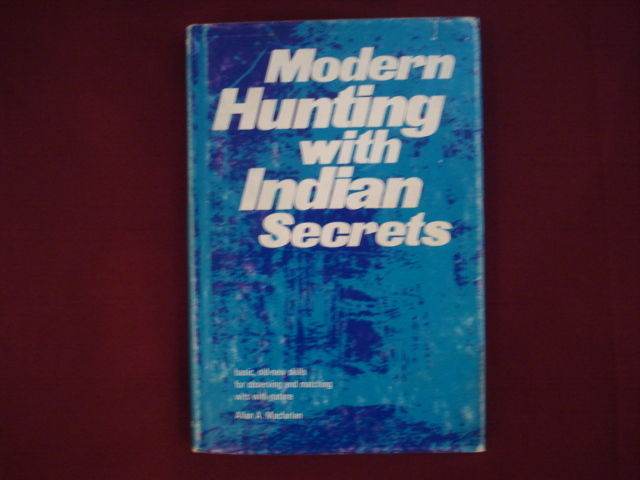 Modern Hunting with Indian Secrets. Basic, Old-new Skills for Observing and Matching Wits with Nature. Photo available. Harrisburg. Stackpole. 1971. Octavo. Hard cover. First edition. Illustrated. Fine copy in very good (light shelf wear) dust jacket (in mylar).